Performance and affordability are what make this a top selling air cleaner. Features include a billet aluminum back plate which provides better strength – eliminating broken, cast back plates that plague similar setups. 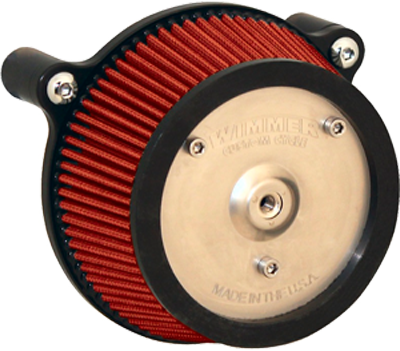 Machined into each back plate sits a recessed pocket that encapsulates the performance air filter base, minimizing the unsightly look of the air filter base. The performance filter measures 2.75” deep, providing ample clean air to the oversized radius inlet. Head breathing is provided thru an internal passage in the back plate – providing a clean and practical solution. 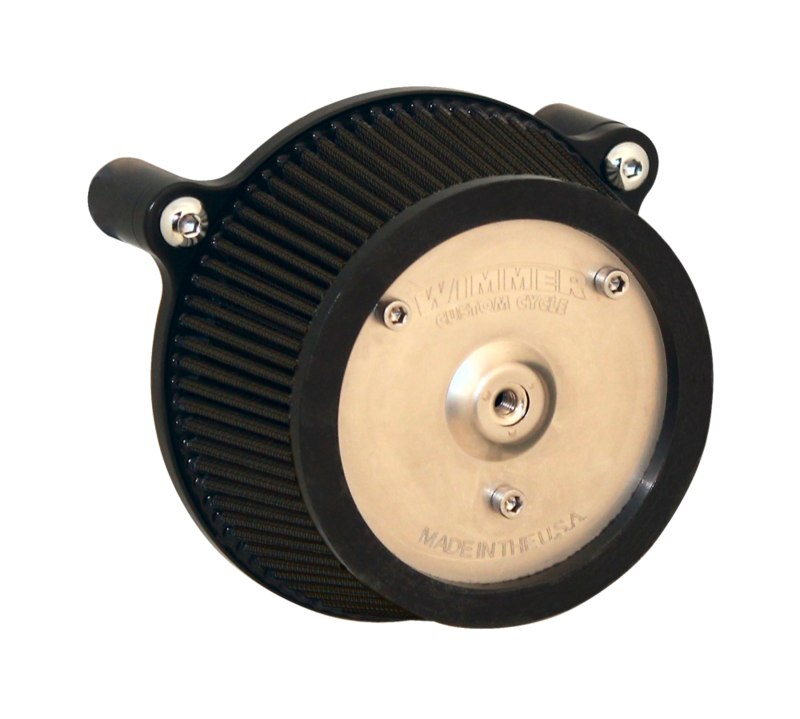 Better Sucker kits are available in black powder coat or chrome finish, five filter colors, will accept the factory Twin Cam "oval style" air cleaner cover, Wimmer Custom Cycle’s exclusive AirStar covers, or similar aftermarket covers that use a 5.5 inch diameter and center mounting screw. Covers sold separately.